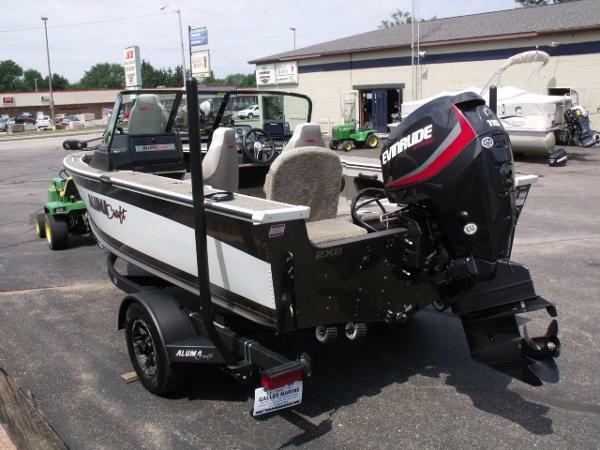 2019 Alumacraft (Edge175 / 17' 8" length / 95" beam / 45" depth / 7 persons - 11158lbs. / 1820lbs. capacity / 1488lbs. boat weight / 150Hp max. 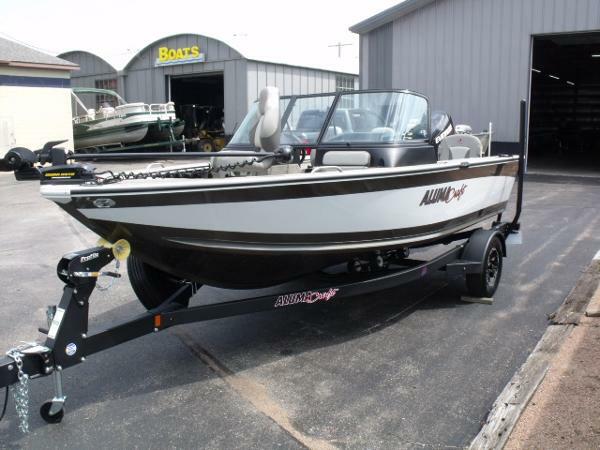 horsepower / 2XB hull and bow / Aluma-Trac rail system with 2 Trac mounts / dual consoles with walk thru windshield / speedometer - tachometer - volt gauge - fuel gauge / vinyl weave flooring / lockable glove box / AM-FM stereo and 4 speakers / tilt sport steering wheel / console netting / 3 air-ride seats / interior lights / bow and stern lights / cup holders / timed - lighted and aerated stern livewell 18 gallon / bow storage / console and bow cushions / bow storage / starboard storage / port wake board storage / port lockable rod storage 7' - 5 rods or ski storage / bow lockable rod storage 8' - 8 rods / 2 stern jump seats / ski tow pylon / boarding ladder / 34 gallon fuel tank / 3 batteries / bilge pump / fire extinguisher / Minnkota trolling motor (70PD US-I-pilot (70lbs. thrust / 24vlt. 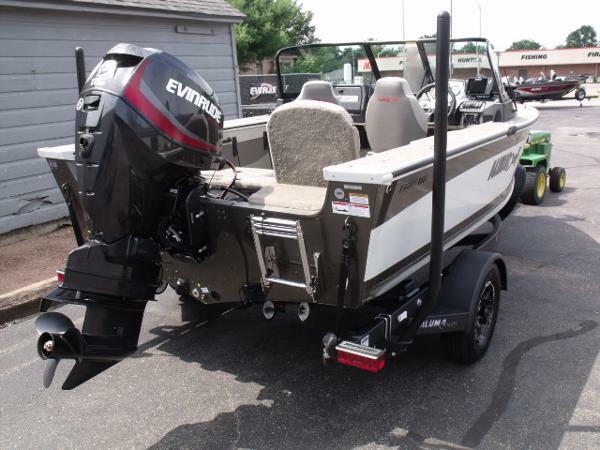 / universal sonar) / Humminbird Helix 7 sonar - GPS / Minnkota 2 bank on-board charger / boat cover / cypress - white boat color), 2018 Evinrude E-tec 115Hp (direct injected / 2 stroke / V-4 / 4 cylinder / electric start / power trim and tilt / oil injected / aluminum prop), 2018 Shorelander trailer (X28BNSW / 2800lbs. capacity / roller / brakes / swing tongue / spare tire and bracket / post guides / tongue jack / bearing buddies and covers / ratchet tie down straps).